The following caselaw summaries are provided as a courtesy to Los Angeles County Bar Association members by the Metropolitan News-Enterprise www.metnews.com. Summaries from the past 90 days are archived and searchable on the LACBA Web site at www.lacba.org/news-and-publications/daily-ebriefs. Although California law excludes federal law enforcement officers from the category of "peace officers" authorized to execute search warrants, a federal agent's execution of a warrant issued by a state court judge did not render the warrant invalid under the Fourth Amendment. Robbery in the third degree in violation of Oregon Revised Statutes Sec. 164.395 is not categorically a crime involving moral turpitude. Sufficient evidence supported a jury's finding that a double-murder had been deliberate and premeditated where there was evidence the defendant brought a weapon with him, he had motive to kill, and the attack was undoubtedly prolonged. Sufficient evidence supported a jury's finding that double-murder had occurred during the commission of a robbery where there was evidence of the defendant's debt and he expressed an expectation of an acquisition of funds for the day after the murders. A judge's brief, inartful pretrial reference to the reasonable doubt standard did not give reasonable likelihood that the jury understood the properly issued instructions to allow conviction based on insufficient proof. Murder is not one of the crimes eligible for enhancement under Penal Code Sec. 667.9(a). When a defendant is charged with both robbery and murder, where a jury found a defendant committed the crime of murder against a person 65 years of age or older, that finding cannot be transferred to a robbery count charged in the same information. Assuming a trial judge erred in imposing a restitution fine against a defendant based on the mistaken belief the defendant could work while incarcerated, the error was harmless where the record was clear the trial judge would have imposed the same fine even in the absence of that belief. A defendant whose court-appointed counsel filed a successful motion to suppress evidence against her to support a misdemeanor charge is entitled to the help of appointed counsel in responding to the prosecution's appeal of the suppression order. Criminal liability under Penal Code Sec. 466 requires not only possession of a given "instrument or tool" encompassed by the statute, but an intent to use it to break into or otherwise effectuate physical entry into a structure in order to commit theft or some other felony within the structure. A jury's finding that the defendants defrauded their victim before entering into a written contract with him, and that the defendants breached the written contract, then entered into an oral contract, then breached the oral contract, were not inconsistent. A trial court did not commit an abuse of discretion in allowing the addition of a claim for breach of oral contract after the parties rested where the defendants failed to prove the breach of oral contract occurred more than two years before the claim was added to the complaint and the alleged oral contract was sufficiently final and definite to be enforced. Evidence relating to the negotiations between parties to resolve claims for breach of a securities purchase agreement and for fraud was admissible where the evidence was offered not to prove those claims, but to establish the separate claim for breach of oral contract. Evidence of a defendant's financial condition is a legal precondition to the award of punitive damages. A trial court abused its discretion in admitting the testimony of a prosecution expert on child abuse that studies show only a very small percentage of allegations of child sexual abuse are false. A trial court court erred in failing to instruct the jury that a Penal Code Sec. 228.5 count was an alternative to multiple counts of lewd acts against a child. A property owner was not liable to an independent contractor's employee for injuries from a fall from a ladder absent evidence that the property owner had affirmatively contributed to his accident. The property owner's alleged removal of a platform ladder at the accident site did not contribute to the worker's fall where the owner did not represent that the partial extension ladder at the site was a safe replacement for the platform ladder and there were other safe ladders available for use. An independent contractor could reasonably have discovered a latent hazardous condition where there was undisputed evidence that the hazard could reasonably have been discovered and avoided. A subcontractor generally owes no duty of care to the employees of other subcontractors doing work on the same property. A contract between a property owner and a subcontractor did not give rise to a duty of care to the employee of another subcontractor doing work on the property. AI for Attorneys -- by Thomson Reuters 1-800-WESTLAW Artificial intelligence technology is in the news and on lawyers' minds as they consider how advancements in machine learning and automation will affect their industry. Will it become standard? What is "good" legal AI? And how are attorneys using it? Honey Kessler Amado, Principal at the Law Offices of Honey Kessler Amado, is a Beverly Hills-based certified appellate law specialist and legal consultant. For over 30 years, she has appealed or defended her clients’ trial-court decisions before the California Courts of Appeal and California Supreme Court. She has been privileged to work on a number of landmark cases that have molded California law. Ms. Amado views the law as the unspoken partner in her relationship with clients. On the trial and appellate levels in family law cases, Ms. Amado consults on issues anticipated for appeal, advises on the merits of a case for appeal, and edits complex memoranda of points and authorities and appellate briefs. Ms. Amado has written and spoken extensively in the areas of family law, appellate law, and legal writing. In 2012, she was a visiting, adjunct professor in Family Law at the University of Osijek, Faculty of Law in Osijek, Croatia, where she also gave a workshop on writing, attended by students and professors. Ms. Amado has been part of numerous LACBA committees, including past Chair of the Los Angeles Lawyer Editorial Board, member of the State Appellate Judicial Evaluations Committee, and the Appellate Courts Committee. 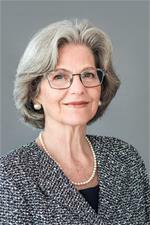 She also serves on the Court of Appeal, Second District’s Settlement and Mediation Panel. Long active in the Los Angeles community, Ms. Amado sits on the Board of Directors of the CSUN Foundation (California State University, Northridge) and is the immediate past president of her synagogue, Temple Isaiah, in west Los Angeles. She is also a pro bono attorney with the Esperanza Immigrant Rights Project of Catholic Charities of Los Angeles. Ms. Amado has three adult children, two of whom are married; and she was married for 34 years to the late Ralph A. Amado, Commissioner of the Los Angeles Superior Court. © 2019 Los Angeles County Bar Association. The information contained in this document is intended solely for use by the person identified above. Any transmission to or copying for the benefit of another person is prohibited. Metropolitan News-Enterprise, SOS and MNC are registered trademarks of the Metropolitan News Company. Summaries are copyrighted by Metropolitan News Company © 2019, all rights reserved.